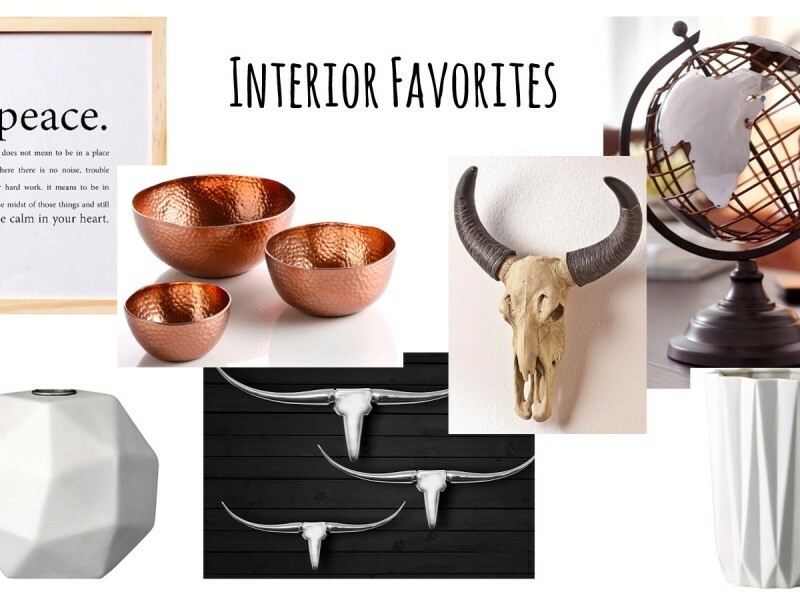 It has been a while since I did a wish list here on the blog. 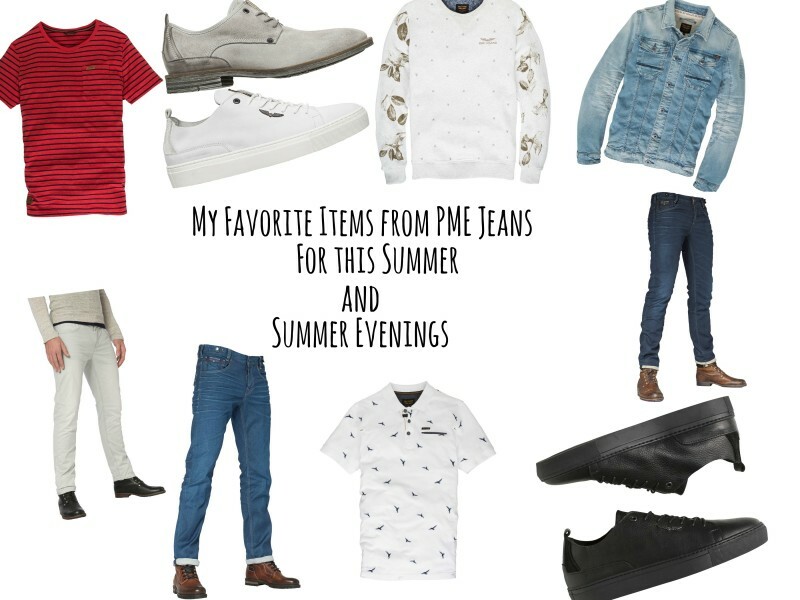 Today I want to talk about three spring-summer musthaves for 2017 – that every fashion lover should have in their closet. I was searching the web and came across Esprit.nl. I often shop in their when I was younger. But I still love their fashion items. So let’s start with the musthaves. The first musthave is the retro trend. I think a lot of people don’t like big fashion brands on shirt or sweaters. It’s a love hate thing. But it’s really a trend – and I like it. When I was sixteen years old I was wearing the exact same thing. And I love how Esprit adds this in her retro collection. 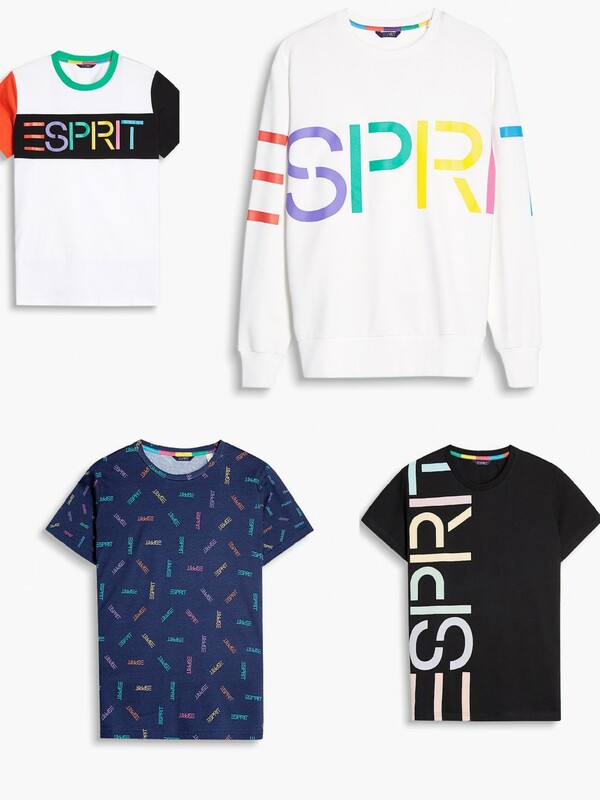 It is really colourful and the Esprit logo is all over the sweater. So a YAY for me! The second musthave is the Polo shirt. 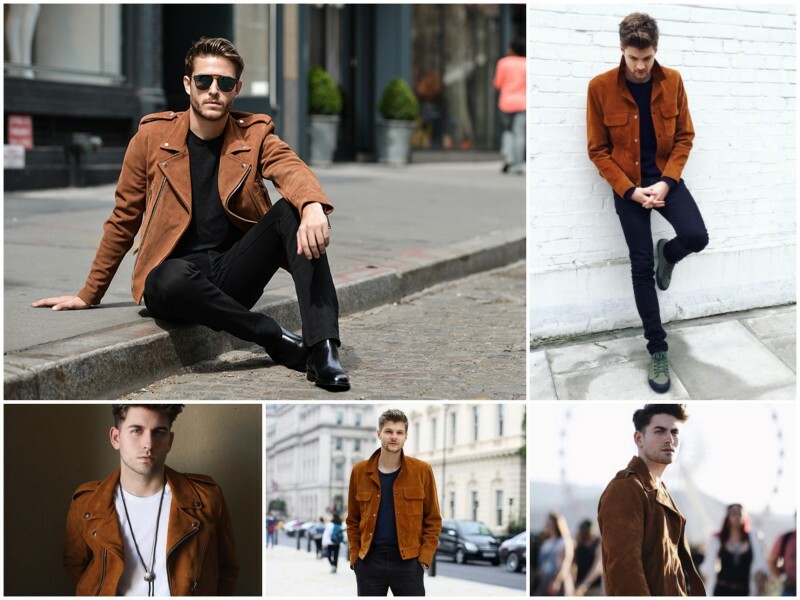 Of course this is not really a trend, but every guy needs this in their closet. It’s something different then just a simple shirt. You can combine it in many ways. For example with a jeans in the summer but you have some meetings and want to look comfortable but also chique and at home with some shorts just for chilling. Go for stripes and prints. But also you can go for the dip-dye trend. Check this polo shirt. Love the dark and ligt blue color. The last musthave is the floral prints. At first I had to use to this trend. But now I’m really liking it. You can see it on shirts, trousers, polo shirts and many more. Think about flower prints, but also combined with birds. It really brings back the spring summer feeling into your outfit. With this musthave keep everything very basic. 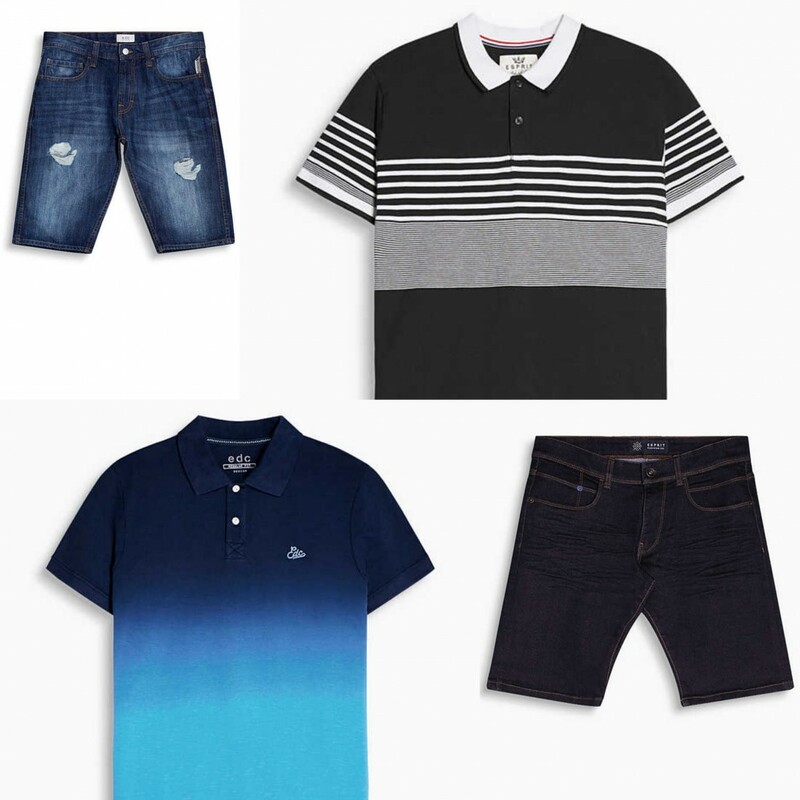 Go for some shorts or a simple jeans and some sneakers. If you don’t like the outgoing floral print, you can choose for some subtle and faded floral print. 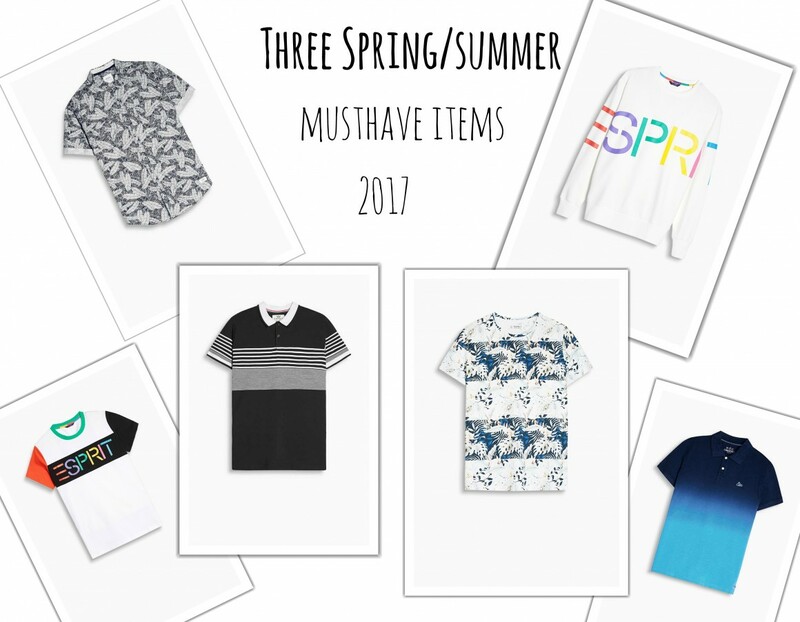 So what is your favorite spring-summer musthave for 2017? 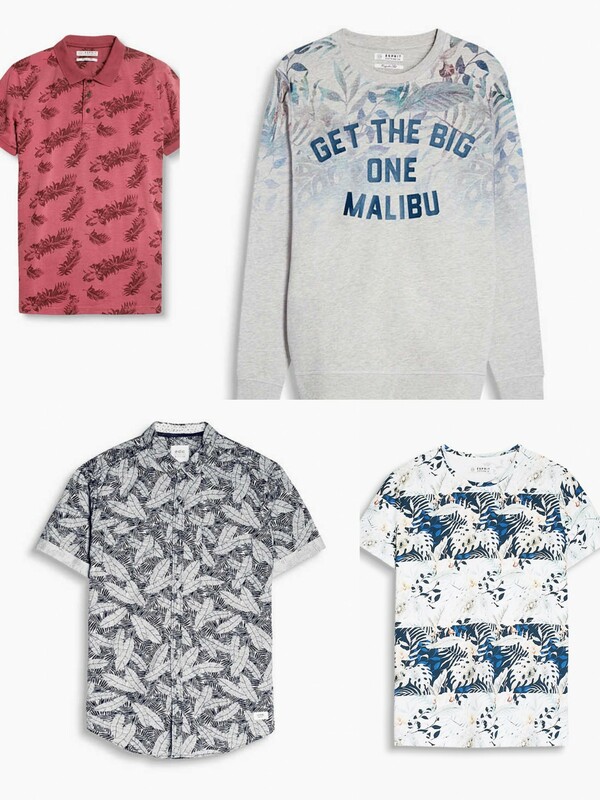 Do you like big logo’s on shirts or are you going for the floral print? In a few weeks I’m sharing a outfit with a floral print shirt so stay tuned. For now leave your thoughts in the comment section below. Ha die Esprit shirts.. Geweldig!! Lekker retro!! I love the floral sweaters and polo’s!! Maybe I can get my boyfriend to wear these! Retro shirts zijn leuk! Al hoeven die grote merknamen van mij niet zo. Haha nee de 1 vind t erg leuk de ander niet! Ik vind de floral prints echt heel erg tof! Mooi de dip-dye polo. Klassiek maar toch anders, daar houd ik altijd wel van. Jaa floral prints vind ik heel leuk (maar dan niet zo’n lelijk Hawaii shirt natuurlijk haha)! 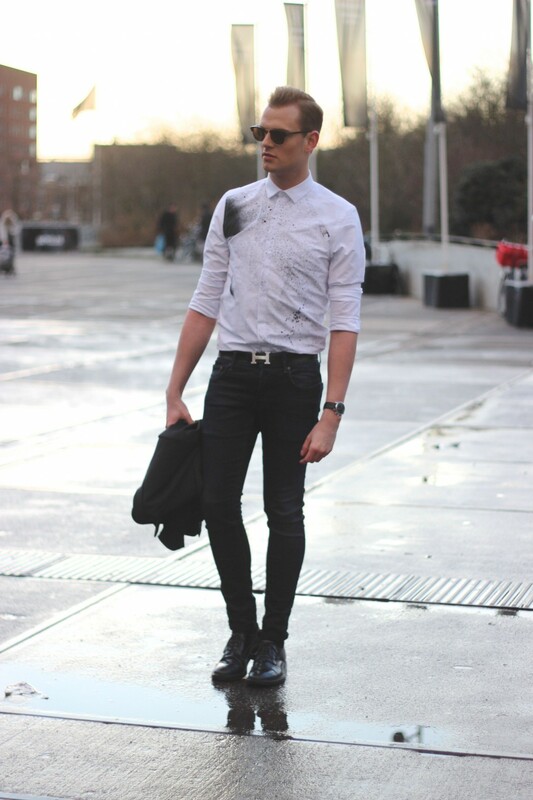 Vooral die floral prints vind ik tof!